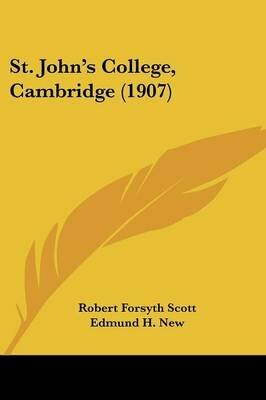 Sir Robert Forsyth Scott (1849-1933) was a British academic, lawyer and author. He was educated in Edinburgh and Stuttgart then studied at University College, London. He entered St. John's College, Cambridge where he studied the Mathematical Tripos and in 1877 was elected to a fellowship. From 1877 until 1879 he was an Assistant Master at Christ's Hospital during which he wrote his only mathematics book The Theory of Determinants and Their Applications (1880). He then became a Barrister and from 1883 until 1908 he was a Senior Bursar of St. John's College. From 1908 until his death he was master of St. John's. He was also Vice-Chancellor of the University of Cambridge from 1910 to 1912.